Winter is here, and you know what that means — wedding season. If you're anything like us, you'll find yourself stuck for inspiration every wedding season... until fashion week, that is. 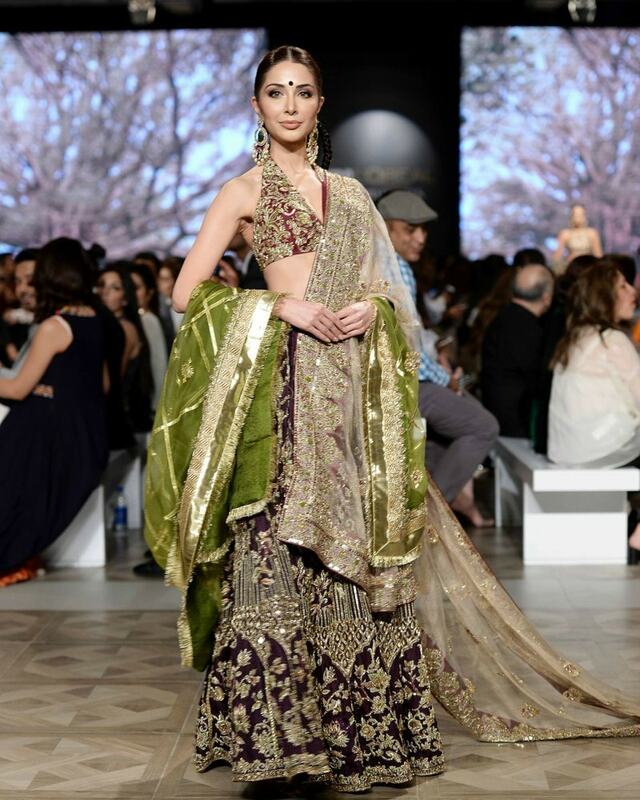 This year PFDC's L'Oréal Paris Bridal Week presented countless options for everyone even tangentially connected to winter weddings: the bride, of course, but also her sister-in-law, and also her second cousin's best friend who's only attending the wedding for the gulab jamun. 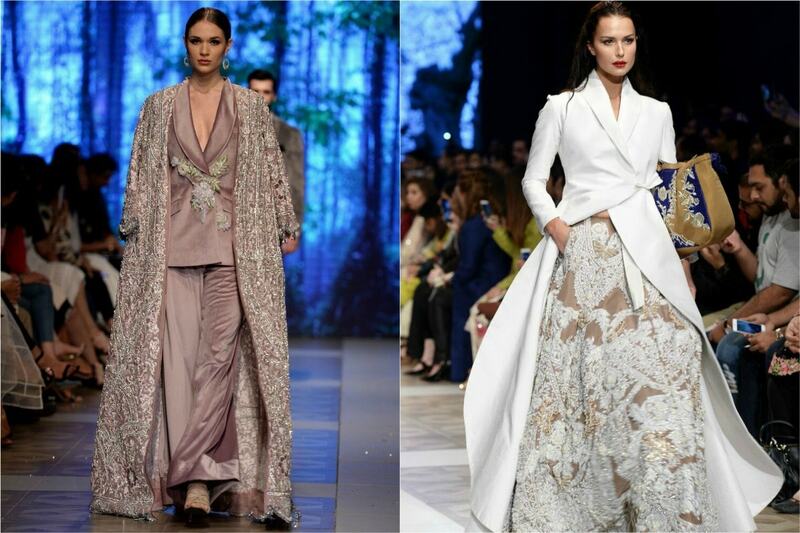 We isolated 6 trends that emerged from collections that ranged from uber-traditional — like Sania Maskatiya and Nomi Ansari — to quirky-cool — like Ali Xeeshan and Mahgul. 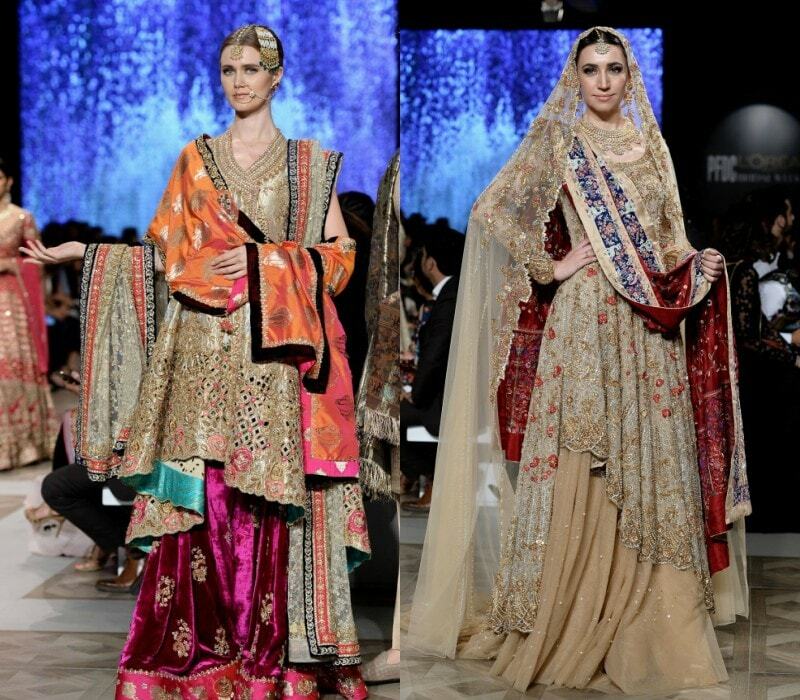 The designers presenting at PLBW must've picked up on the fact that red is trending internationally, because red could definitely be seen making a comeback on the ramp. 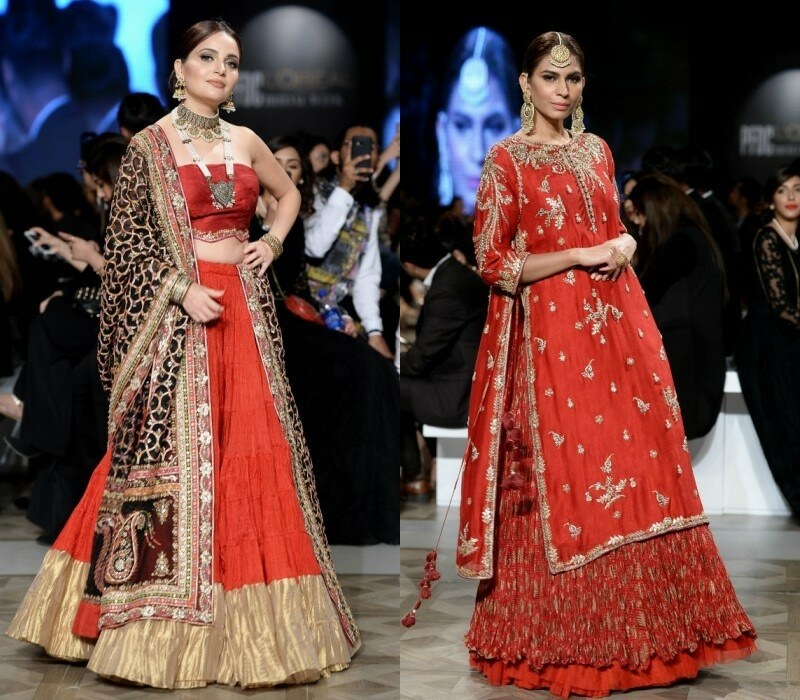 And not just as an accent colour — we spotted all-red ensembles where everything from the dupatta to the gharara was scarlet. Contenders for best red included Wasim Khan and Misha Lakhani, with notable mentions going to Sania Maskatiya and Mahgul. 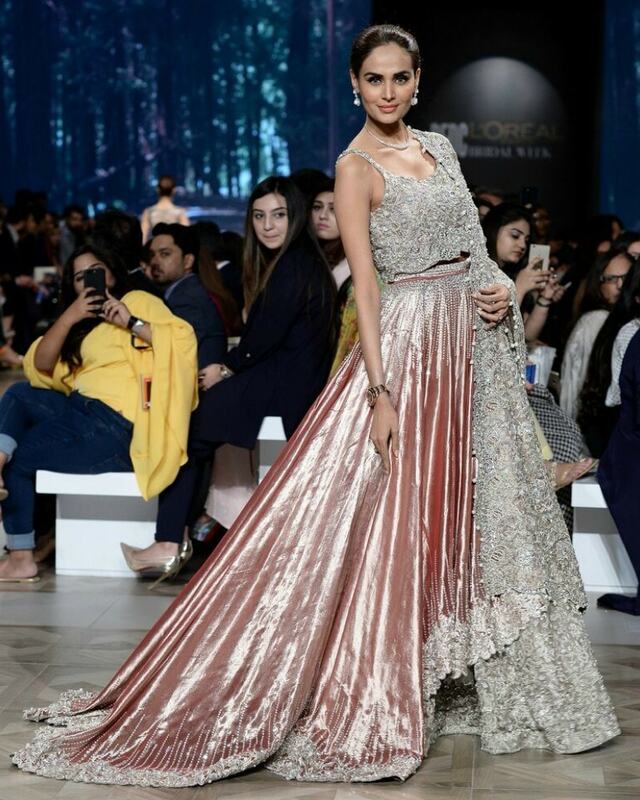 Someone must've photocopied and distributed a memo that read 'go big or go home' because there were ALOT of trailing trains on the ramp at PLBW. 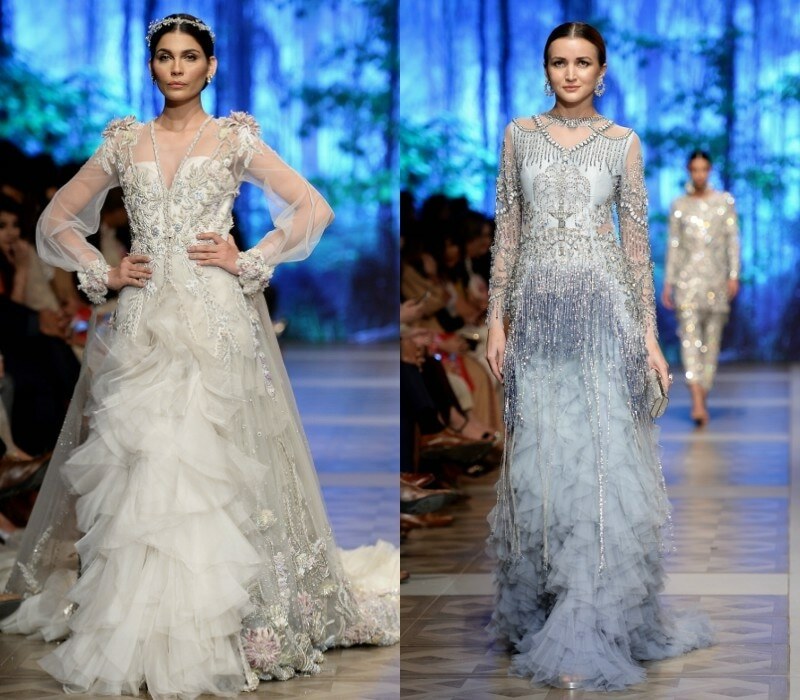 Sana Safinaz (L) and Sania Maskatiya (R) sure know how to grab our attention! Impractical? Yep. Dramatic? Yep. We wouldn't recommend this look for anyone but the bride, but done right it can add the right amount of flair. 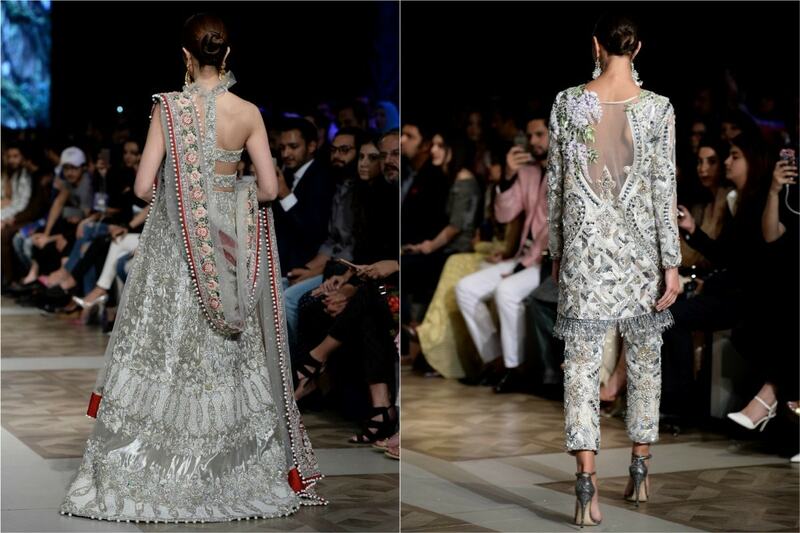 When it comes to wedding wear we often neglect the backs of our joras. But not after PLBW. Designers made a strong case for treating the back of their outfits like entities unto themselves, with heavy embellishments, scooped backs, worked straps and more. And if you're getting sick of being traditional, some designers presented interesting looks that borrowed heavily from menswear. While we wish we would've seen more of this trend on the ramp, at least it was a start. On the other end of the spectrum, designers presented western-style evening gowns as viable options for wedding wear. 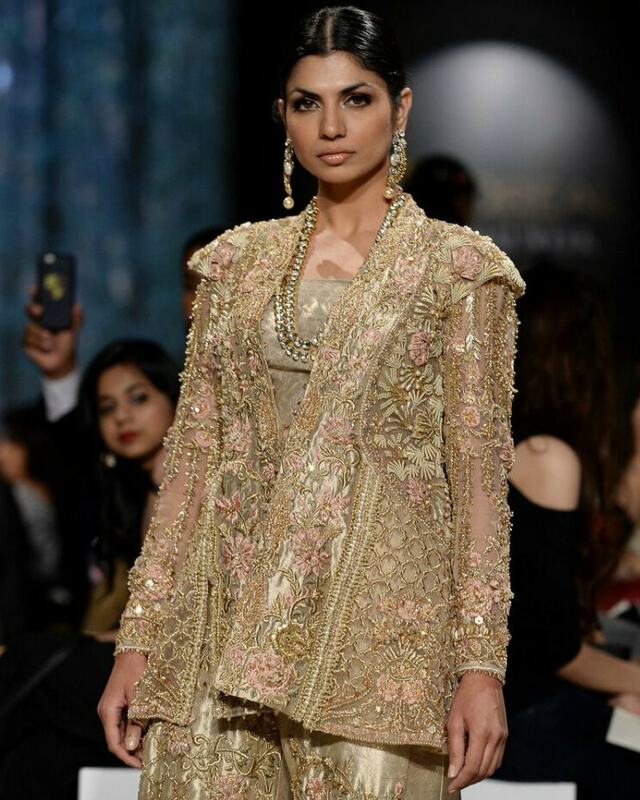 Sana Safinaz led the pack, but others followed close behind. 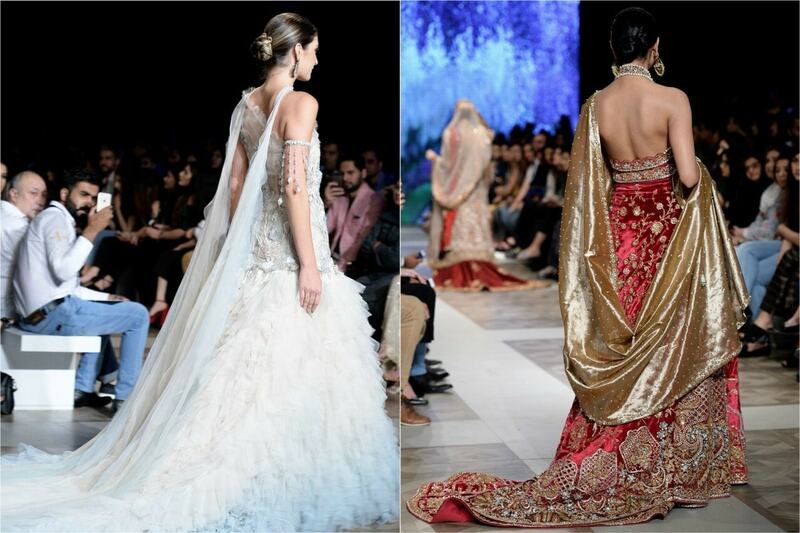 Another raging trend on the runway had us seeing double: we spotted two dupattas on numerous outfits. 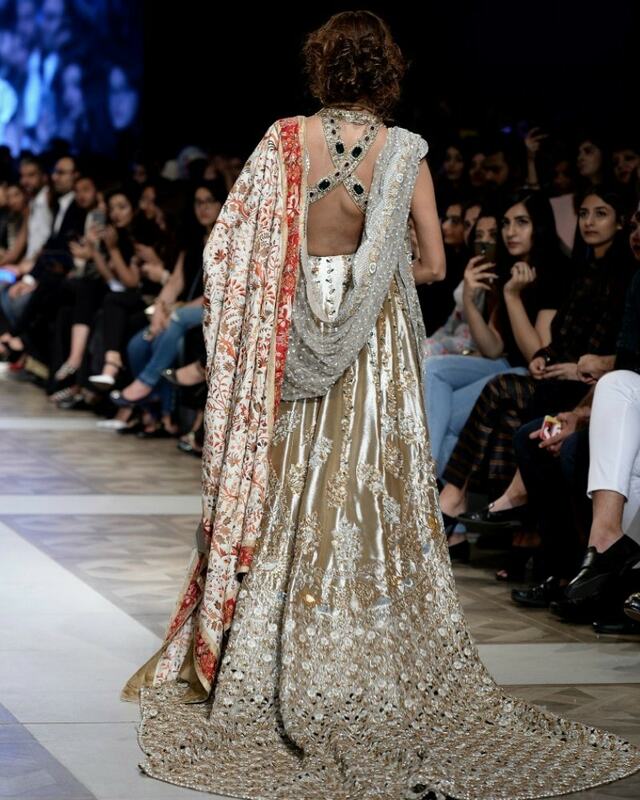 It went like this: one dupatta was draped over the models head while the other criss-crossed around her front. Alternatively, one dupatta was belted and one flowed freely.